Following a countrywide tour and a run at The Other Palace, Liza Pulman Sings Streisand comes to the Lyric Theatre. This means another chance to see the five-star evening of music, humour and storytelling for those who missed it, or for those who have been raring to see it again. 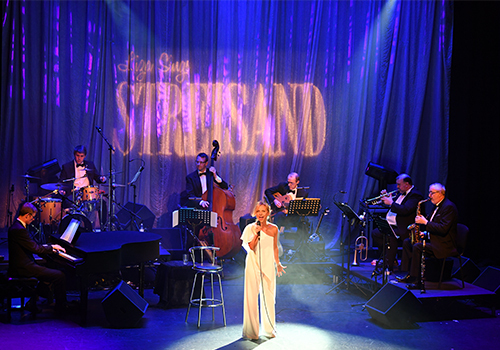 Be part of a sumptuously performed homage to the life and the legend of Barbra Streisand, courtesy of the talented Liza Pulman and her band. Loved the world over, Streisand is a six decade-spanning American singer, songwriter, filmmaker and actress. Her many prestigious accolades include ten Grammy Awards and a Special Tony Award. She's one of the best-selling recording artists around with 150 million singles and albums sold internationally, while also reaching the pinnacle of big screen achievement. Some of her most iconic films are Funny Girl, Yentl and Hello, Dolly! Pulman is a critically acclaimed comedienne and singer who also makes up Olivier award-nominated cabaret group Fascinating Aïda. She has performed onstage in London Palladium's Chitty Chitty Bang Bang and Chichester Festival Theatre's A Christmas Carol. As for television, she most recently appeared in the BBC's Midsomer Murders. Pulman is backed by a sterling band, who bring Streisand’s beloved numbers to life. Together, they tell the exceptional tale of the American superstar's life and music. Musical direction comes from Joseph Atkins. A composer, arranger and musical director, his theatre credits include Josephine and I (Bush Theatre) and Wedding Singer (Lowry Theatre, Manchester). Liza Pulman Sings Streisand has no shortage of five-star reviews and glowing praise. Catch this powerhouse of a show during its limited run at Lyric Theatre between March and April 2019. The age recommendation of this show is 11+. Children under the age of 3 will not be permitted into the auditorium.